Benchmark FR has teamed up with FLO for a fundraiser. 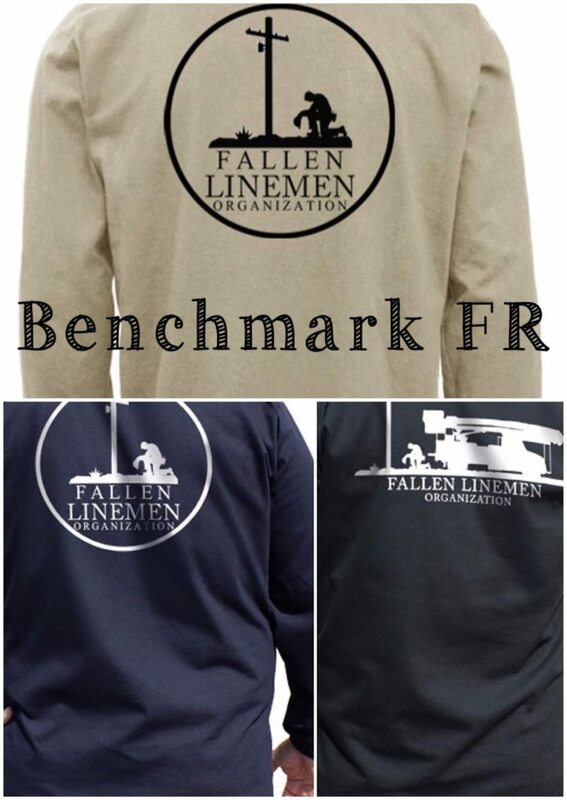 Benchmark FR is a great company that makes quality FR products. They are offering the long sleeve FR shirt in 2 colors with either our circle logo or our long, bucket truck logo. This is an American made ARC and Flame resistant long sleeve t-shirt, required PPE to commemorate their fallen brothers for only $44.99. Your purchase will help FLO raise money to fulfill our mission.